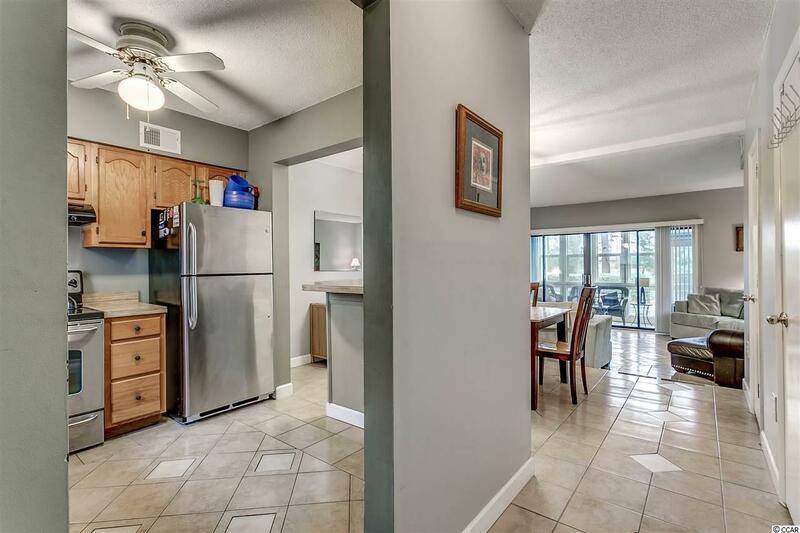 Beautifully updated 2 bedrooms, 2.5 bath townhome style condo in the Robbers Roost Villas. 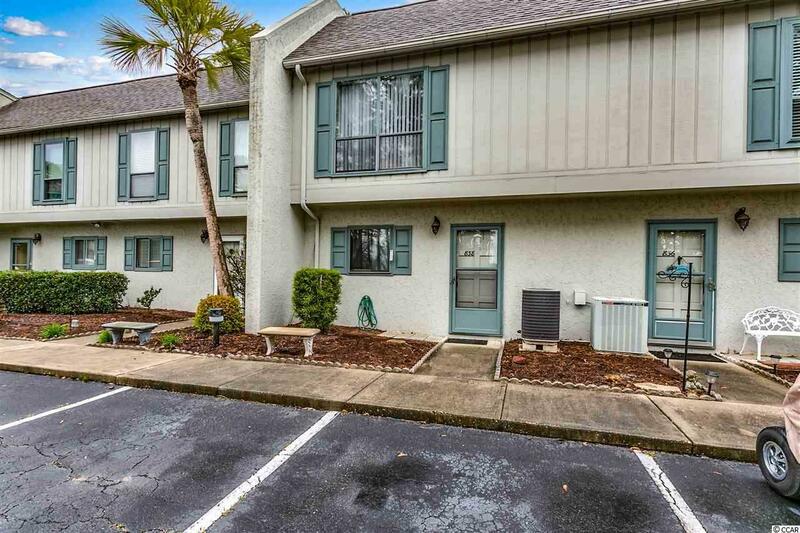 Located east of Hwy 17 in the prestigious Tilghman Estates section of North Myrtle Beach, this fully-furnished condo is affordably priced with lots of upgrades. The first floor is completely tiled with beautiful designs. The living room has unique and modern shelving and a queen sleeper sofa while the spacious dining room has a new brushed nickel light fixture. The recent addition of the sunroom features new floor-to-ceiling windows, ceiling fan and tile floor. Just off the sunroom is the laundry room with full sized washer and dryer. The kitchen features stainless steel refrigerator & stove, black dishwasher, breakfast bar and ceiling fan. The 1st floor powder room has sponge painted walls, new fixtures and new toilet. Upstairs you will find 2 oversized bedrooms each with a private bathroom. The front guest bedroom has a queen bed and an updated bathroom with a new vanity, designer tile floor, new toilet, new beadboard walls and new lighting and sink fixtures. The master back bedroom has a King bed and a sliding glass door to the large 17x9 balcony. Both bedrooms have ceiling fans with lights. HVAC has been serviced every year. Old Republic Home Warranty is offered with the sale of the home. Condo comes with 2 assigned parking spaces with an overflow parking area. Amenities include an outdoor pool and 2 tennis courts. Owners are allowed golf carts! Great location with easy access to the beach and a bike/golf cart path to shopping, groceries and restaurants in new plaza. Low HOA fees include exterior building insurance, trash pickup, pool and landscaping maintenance, exterior building maintenance and property management. Cable is not included but HOA has agreement with Spectrum for a reduced cost. 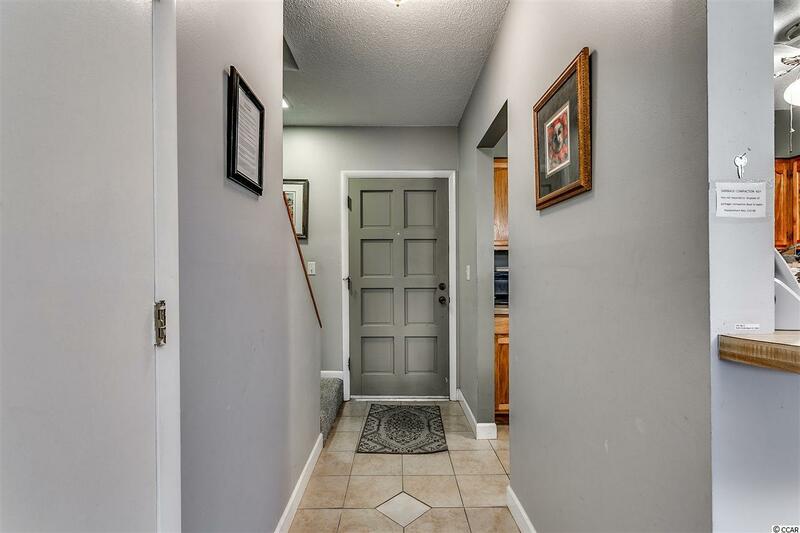 Come see this beautifully-maintained property that is just minutes away from North Myrtle Beachs restaurants, entertainment, shopping and, of course, the Atlantic Ocean. 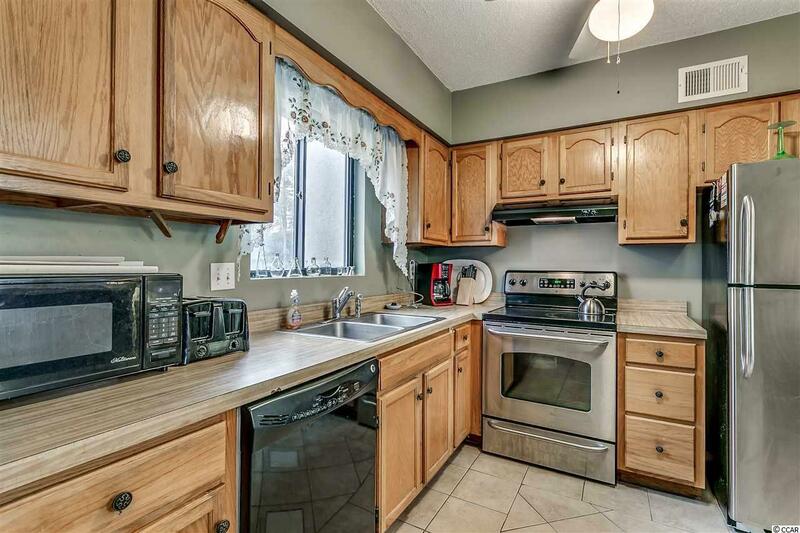 Kitchen Dishwasher Garbage Disposal Refrigerator Range Breakfast Bar Ceiling Fan Microwave Stainless Steel Apps.